CAT 2019 Exam date is November 24, 2019. Common Admission Test (CAT) 2019 is the mandatory entrance exam for admission to MBA 2020 in 20 IIMs and other top MBA colleges in India. The exam is therefore referred to as IIM CAT and is conducted by IIMs on annual basis. CAT 2019 Exam will be conducted by IIM Kozhikode in two sessions on Sunday November 24, 2019 as computer based test at more than 400 testing venues across the country. More than 2 lakh candidates appear in Common Admission Test (CAT) conducted by one of the older IIMs every year. Last year 2.41 lakhs candidates had registered and applied for CAT exam. CAT exam is the largest MBA entrance test leading to admission in top MBA colleges of India. CAT Exam will offer admission opportunity for MBA admission in 2020 to 20 IIMs and more than 500 other top MBA/PGDM colleges including FMS, SPJIMR, MDI, among others . CAT exam will have a combination of MCQs and Non-MCQs to provide level playing field to the students of all streams. No change in the CAT 2019 exam pattern has been announced. The CAT exam duration remains of three hours with 100 questions divided in three sections, as was the last year. If you have completed Bachelor’s degree with 50% marks or completed professional degree (CA/CS/ICWA), or are in the final year of Bachelor’s degree you can appear in CAT exam. There is no Age bar to apply and appear for CAT exam. The CAT Notification 2019 will be published on July 27 and after one week of its publication IIM CAT exam registration will start. The CAT Notification 2019 will contain details about CAT Registration dates, CAT Admit card dates, CAT exam date and CAT Result Date. Apart from this, the CAT official notification has details about the CAT Eligibility criteria and the details about the MBA programmes offered by all the 20 IIMs. 100 Questions: CAT exam will have 100 questions divided in 3 sections of VARC, DILR and Quantitative Ability. Other Criteria with CAT score: Apart from High score in each of the 3 sections in CAT exam, you need to have good academic profile, diversity, to get into IIMs. During the last 3 years, CAT exam syllabus has substantially changed. The biggest change is in type of questions some of which are no penalty questions now. Most of the changes in CAT syllabus have taken place in the Verbal Ability and Reading Comprehension Section. The topics and number of questions in VARC section have changed. Similarly a few changes in CAT syllabus have been introduced in Quantitative Ability section also. The best way to prepare for CAT exam is to devise your own preparation strategy and then find out whether you need to join CAT coaching institute. How to Prepare for DILR for CAT 2019? CAT is the abbreviated form of the Common Admission Test. For the last 5 decades since IIMs have been conducting the Common Admission Test for admission to their various PGDM programmes, the full form of CAT is seldom used except in the release of CAT notification, advertisement and other official CAT documents. So despite carrying the official full form Common Admission Test, the exam is more known by CAT – the abbreviated form of Common Admission test. One Day Exam: CAT exam will be held in single day on Sunday November 24, 2019 in Morning and Afternoon sessions. CAT is a Computer Based Test. Earlier it was held in 15 to 20 days testing window till 2013 by IIMs. Since 2014, CAT exam testing window has been shortened to one day only. Single Fee for MBA Admission: CAT 2019 provides admission opportunity in 20 IIMs with the single point payment of CAT registration fee of Rs.2000/- for General candidates and Rs.1000/- for reserved category. Choice of 50 MBA Programmes in IIMs: CAT 2019 offers a choice of more than 50 management programmes in 20 IIMs without any additional application fee for admission. Making the right choice of subject wise CAT preparation books to crack CAT 2019 is the first step in your CAT preparation journey. But with so many CAT preparation books flooding the market, it is not only difficult but also confusing to choose the best and most relevant preparation books for CAT exam. But don’t worry MBAUniverse.com comes to help you with the guidelines to choose the best CAT preparation books. While preparing for CAT 2019, you will be looking for best CAT Coaching that can help you score high in CAT exam. IIMs will conduct CAT exam for MBA admission 2020 in IIMs on November 24, 2019. This year it is IIM Kozhikode who will convene CAT. You may be looking for regular class room CAT coaching, weekend CAT coaching, Online CAT coaching or may be only CAT test series while doing self-preparation for CAT 2019. Online CAT Preparation has become a time saving and cost effective CAT 2019 preparation tool alongwith the self preparation. CAT online preparation is found suitable not only for working professionals but also for those who want to utilize their commuting time in CAT preparation. Common Admission Test (CAT) 2019 is the largest MBA entrance exam conducted by IIMs. CAT 2019 will be conducted by IIM Kozhikode on November 24, 2019 for MBA admission 2020 in 20 IIMs and other top MBA colleges like FMS Delhi, MDI Gurgaon, SPJIMR Mumbai, IITs, IMI New Delhi, IMT Ghaziabad, JBIMS Mumbai, NITIE Mumbai among others. Quantitative Ability (QA) in CAT exam is the last but most important section which can improve or reduce your CAT score substantially. CAT Quantitative Aptitude questions contribute 34% share in overall CAT exam . Out of 3 sections in CAT exam with 100 questions, the QA questions in CAT are divided into MCQs with negative marking and Non-MCQs without negative marking. CAT 2019 Sample Papers are the right source to guide you about the CAT question paper 2019. CAT sample paper pdf consists of probable CAT questions with answers of varying difficulty level. 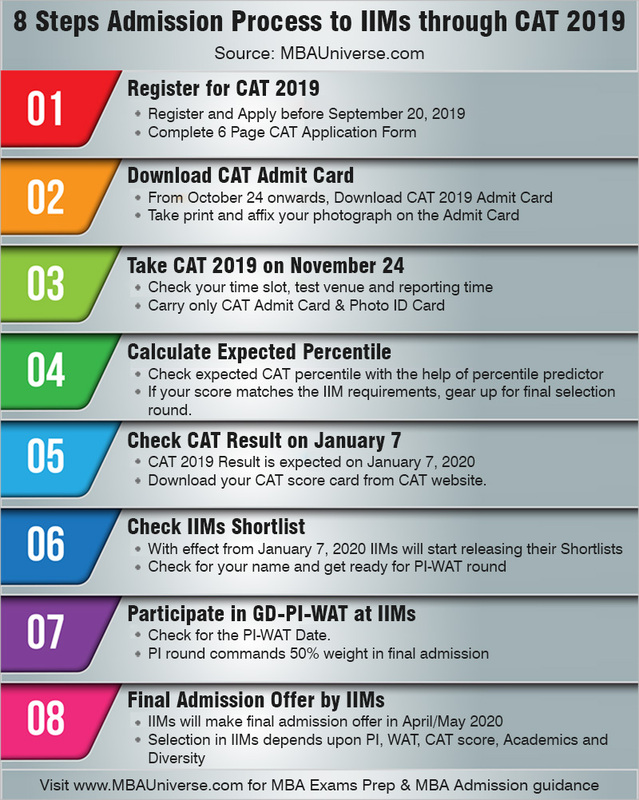 CAT Admit card 2019 download is made available on official CAT website iimcat.ac.in by IIMs in the month of October and the last day to download the CAT admit card will be the CAT exam day November 24, 2019. IIM Kozhikode will release the CAT 2019 admit card on or after October 24 at 1 PM with some changes. After the CAT Admit Card download process, it is must to have CAT Admit Card print out on A4 size paper. CAT 2018 Slot-2 exam has got over at 5.30PM. Candidates have reported a difficult DILR and moderate to difficult Quant. The CAT 2018 slot 2 exam has remained on similar pattern as that of Slot-1 exam except that DILR and Quant were reported on slightly higher difficulty level.